Colouring your artwork is easy, anywhere, any time with the no-mess, dye-based, Koi Colouring Brush pens. 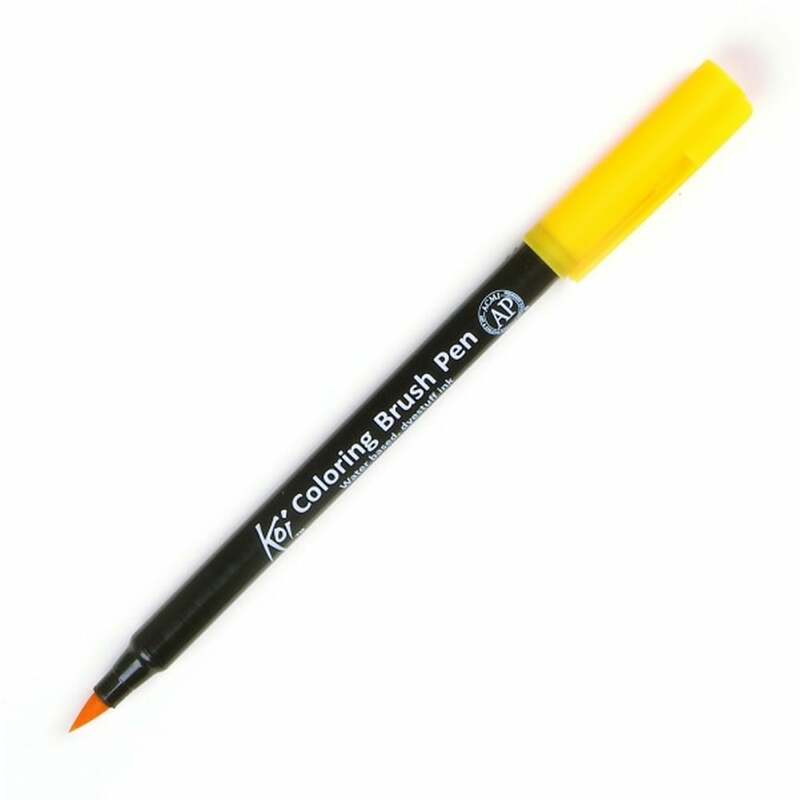 These pens perform similar to an artist brush, they will make fine, medium or bold brush strokes just by changing the amount of pressure to the nib. The durable tip will quickly spring back to its original shape. The odourless and water-based solvent facilitates smooth blending and layering of colours.